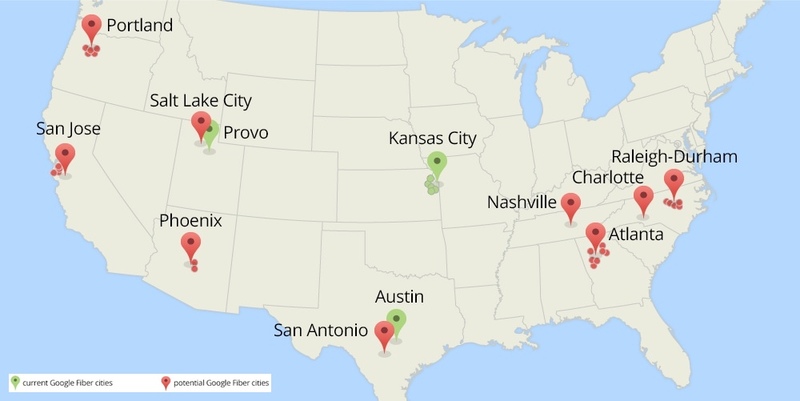 New Google Fiber Cities: Are You on the List? How fast is your broadband, gigabit? Regardless of where you live, you likely answered, “Not fast enough!” While your current ISP will keep raising its prices without increasing speeds, there is hope if only just a little, that Google Fiber will save you. Google has partnered with Starbucks for free nationwide highspeed wifi and hopes to start delivering 10 gigabit fiber within three years. Good things are coming! Previously, merely begging Google Fiber was enough to get them to come to town. Now, Google Fiber has conditions before they will consider your city, specifically the search giant wants a stress-free rollout and is looking for incentives — i.e. no regulatory hurdles, tax concessions and more.